The Word of God makes a man Prophet, not a mere pulpit performer. Understanding the Word is vital. The Word of God is the sword of the Spirit but only when we preach it. That is the apostolic secret to route the enemy. The devil is not in charge of our future but only Jesus is in charge. Miracles are inherent part of the Gospel. The bottom line of evangelism is hell to be emptied and heaven to be full. The Bread of Life is to be broken into pieces that can be easily eaten. Only the Holy Spirit has the obligation to confirm the Word of God. We throw out life lines. Gospel is the life belt. Holy Spirit is the master evangelist. Jesus did not condemn people. He warned a friend. He never threatened anyone. The pharisees hated Jesus because He was more popular than them. Jesus was crucified because of jealousy. The pharisees were so incensed that they were bent on finding fault with Jesus on every occasion – when Jesus dined with Zacheus the tax collector, healed a crippled man at Bethesda on the day of Sabbath. And they got an opportunity to find fault when they brought an adulterous woman to Jesus. 1. We are all sinners and come short of the Glory of God. We need the Savior. 2. When the Gospel is preached, the person should be alone with Jesus. The Holy Spirit is in action. 3. Jesus stopped down and wrote something, which I believe is Guilty. We are all guilty before God. I am guilty and I cannot judge. And if I judge, I myself will be judged. We are sinners before God. 4. Jesus was the only one who had the right to pick up the stone. He didn’t. Jesus said, I have not come to condemn the world. Some say, Jesus was obliged to execute the law of Moses. Why He didn’t do it? Jesus fulfilled the law of Moses on Himself. He took the woman’s death sentence on Himself. He was nailed on the cross for me. Jesus died on our place. There is no condemnation to those who are in Christ Jesus. 5. To those who have never committed, you can have forgiveness. You need forgiveness for the smallest sin. With God only one thing matters. We all need the Savior. We cannot escape. If you have got the smallest sin, that sin is enough to take you to hell. 6. When the pharisees were convicted by the Holy Spirit of their sin, being guilty, they made a biggest mistake of their life. They ran off because of the stinking pride. God resists the proud. The real mistake is to miss the eternal destiny. 7. The woman was arrested by the Pharisees. That woman never had the agenda of meeting Jesus and the pharisees kicked that woman to Savior. Don’t just preach on sin. Pharisees tried to catch Jesus with Law. They were trapped themselves. If they had knelt with woman, they would have saved themselves. “I am a fisher of men and when I catch, I need a finely meshed net. If there are holes, I mend them first. Don’t postpone the altar call. I close all the holes and pull the net. I pray that you be a Hot Evangelist. You need a right temperature. Many Christians have temperature of the world we are living in. 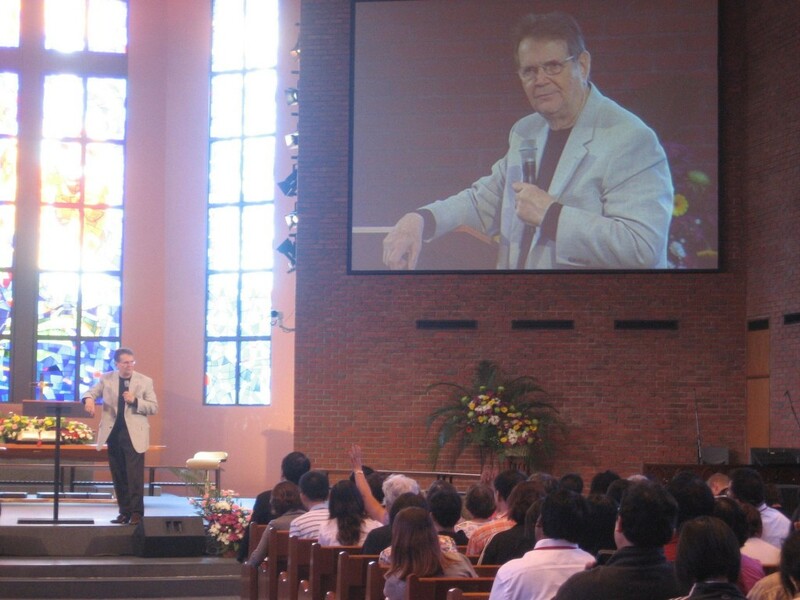 But we must have temperature of Holy Spirit and change the temperature of the world” said Reinhard Bonnke. Fired by this, I need to have the temperature of the Holy Spirit.